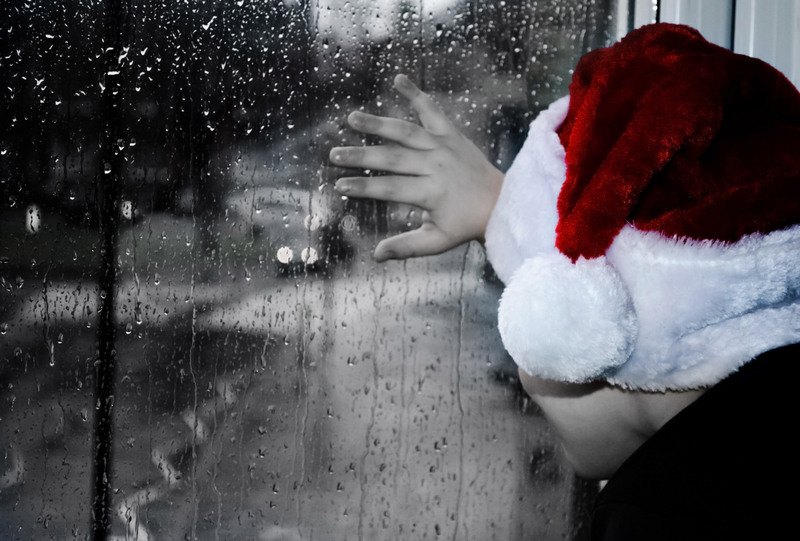 It’s the most wonderfully painful time of the year for people like us. Our celebrations are fenced with healthy boundaries and decorated with harrowing memories. While the rest of the world celebrates in carefree fashion. Sometimes just a holiday card can throw someone over the edge. “Rachel is engaged to a wonderful man and are set to wed this spring!” “Ryan just completed his Masters and begins his Doctorate this coming year, Happy Holidays!” While your loved one just lost their job due to poor attendance because their drug of choice became more important than feeding their family. Unfortunately, the stigma of addiction is prohibitive. Yet many wouldn’t hesitate to share if a loved one had cancer, a heart attack, or poor health. We’re supposed to be happy. We’re supposed to be close to the ones we love. But the ones we love are metaphorically miles away, no matter the physical nearness. Contrary to popular belief, addiction harms more than just the addict. I’m not a lone case, although it can feel that way at a holiday party with friends. I know there’s more of us. It can be hard to talk about when it’s the most wonderful time of the year. It’s not so much shame, it’s more about the fact that we don’t want to take away from the festivities with something other than positive news. And then guilt sets in, for feeling like you can’t even talk about them. Like you’re ashamed of them, when its actually just pain. I miss my sister. I just want so much more good for her, and I can’t help her anymore. I can admit I shed tears for the loss of relationship with my sister. I cry over her, behind closed door silence. I cry away from her son that I am raising due to her poor choices. He doesn’t understand how this could be anything but an exciting time. At 7, he doesn’t see the instability in her life. And I’ve been lucky enough to be able to give him a solid environment for him to grow in. The weekend visits with his parents happen every Friday evening, and this weekend it will be filled with holiday activities at my expense, so that my nephew can live in a normalized bubble with his struggling parents, shielded by the walls of our home. When the visit ends, she goes home, and we continue on in our celebration while I’m left feeling guilty for not being able to include her more in his daily life. If we want to have any kind of relationship, sometimes families must accept their addicted loved ones where they are, perhaps still using, grasping the good times when they can. At these moments and for any positive changes, no matter how small, praise from family members can go a long way. If you are feeling any way at all like me, I can try to help. I don’t have all the answers, but as a person currently struggling, sometimes you just need to read it. If you have decided to allow your loved one to celebrate with you, think of your game plan ahead of time. Set boundaries that are important to you and your family. Let them know they must be adhered to by the alcoholic/addict in order to participate. Set the arrival time, let them know they need to arrive clean and sober (if you smell alcohol on their breath or they are acting intoxicated, they will not be aloud in). If they live with you, ask them to leave until the get together is over. They will need to check their attitude at the door, if they cannot participate in a well-mannered demeanor, they will not be welcome. Keep the boundaries easy and doable, it doesn’t need to be complicated. Make sure this is spoken about at least a week in advice, so there is no surprises. It gives your loved one time to think it over, get right with your expectations or not participate at all. You are not responsible for defending your decisions. If you don’t engage and stay in a neutral position, you will be perceived as having a well thought out plan that shows self-respect. This isn’t the time to bring up old examples of how the addict has let you down before, it most definitely will start an argument which is completely unnecessary. Be clear with the consequences if your conditions are not met. Make sure the both of you understand what those ramifications are so that no one can call it a misunderstanding or take away the importance of your plan. This is so significant. If they don’t like the rules you have set up, simply say “It makes me sad that you won’t be able to join us, but that is your right.” They then have to take responsibility for their decision, although it could be so much easier to blame you. Be firm in your decisions. Your boundaries are to be built on a rock-solid prearrangement. Making excuses is a natural response when the person has not lived up to their end of the bargain, but don’t allow that to overshadow your plans. You want to think because it’s the holidays you can cut them some slack, but it only makes it a lose/lose scenario all around. Let your other family members know about your arrangement as well, so everyone is on the same page. Allow your loved one to decline the invitation, for whatever reason that may be. Keep an open mind and respect it with no guilt or judgement placed upon them. At the same time, please be aware of your expectations. Sometimes the expectations placed on your loved on can be a burden in itself. Keep your expectations in check. You are dealing with someone who might not be as truthful as you would like them to be. This may be disappointing, but don’t let it surprise you. You may need to keep you desire to have your whole family together a quiet wish, Try not to involve the family too much. And help them to keep their expectations lowered as well. It’s hard to remember this, but do not take it personally if your expectations are not met; it’s just the nature of the beast and what they may be struggling with at this particular time. This is only our second Christmas in our new roles. I’m still struggling every time a big event comes around. I don’t always know how to handle it. I have to be reminded in my support groups that we too deserve a calm and memorable holiday. We can’t let our loved ones take away from our own celebrations. And if you have reserved your holidays without them, there will be others. Regardless of your company, I want to wish you a joyous holiday season!